Relive the first edition of Talent Acquisition Live which took place on the 20th of September 2018 in Amsterdam. Below you can find the program of Talent Acquisition Live 2018. 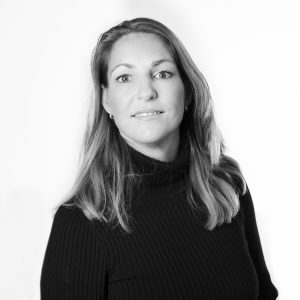 Heleen Stoevelaar is the chairwoman of the first edition of Talent Acquisition Live. But she is also a colleague of us as an experienced recruitment manager. From 2015 to 2018 she was Manager Recruitment & Labor Market Communication at Conclusion, a large, versatile IT service provider. Heleen has been the owner of Best Selector and The Referral Company since 1 June this year. She likes to achieve pragmatic and result-oriented long-term results for the recruitment department. In 2000 she started her career at a large national temporary employment agency where she introduced Tempo-Team @Office together with several colleagues at the end of 2002, a virtual temporary employment agency. 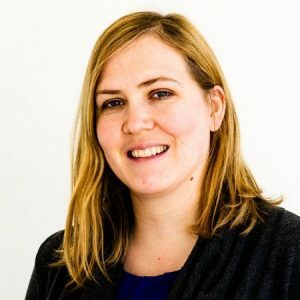 In 2004 she switched to an international recruitment and selection organization where she was responsible in her last function as Manager for recruitment exclusively for commercial personnel for the north, east and the central of the Netherlands. From 2008 to 2015 she was the owner of Best Selector where she worked for various clients in her role as interim recruitment manager. Bill Boorman never wears a suit and always wears a hat. He has a simple vision to make recruitment better for everyone. He works towards this by advising talent technology companies on their product road map, with V.C.’s over investments in the sector, with hiring companies on technology and approach, and by hosting #tru events (TruMunity). Attract young employees for the supermarkets? Albert Heijn did it with a campaign full of fun and exaggeration with media like Snapchat, Soundcloud and Spotify. 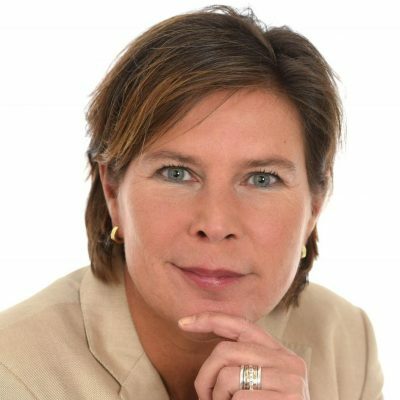 René Herremans is Director Employer Branding & Employee Engagement at the largest Dutch super market Albert Heijn (Operations Unit). He is also author of the books ‘Your employee becomes a customer’ and ‘The Brand Engine’. Introduction into the new channel of Voice. Over 50 million smart speakers were sold in less than 4 years. An adoption faster then mobile or web. Google and Amazon have thousands working on this and spend millions. Will it take over the web? How is this channel different and explore how recruiting can use it? 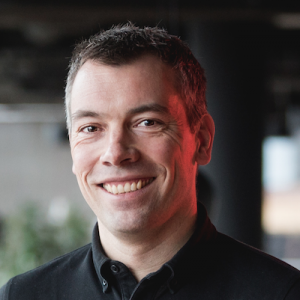 As a serial entrepreneur Maarten got his acculades with the first global Augmented Reality platform Layar with over 44 million users and 18 mln raised almost 10 years ago. He also introduced a new way of working befiiting the future of work with Teamily. Today he devides his time between helping company's create impactfull voice services and helping teams perform better. 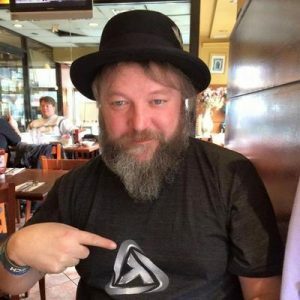 He is a public speaker and host of the HRtech meetup and the open voice event series. In 2018, candidates want to find out what it is like to work for your organisation online, independently, before they have a conversation with a human in your recruitment team. To adapt, you should create an ongoing talent nurture programme using software which tracks and scores each candidate's interactions with your content. This will fuel your recruiters with 'hire-ready' candidates, allow them to filter the candidate database according to a real-time engagement score and show you which channels and content are driving the most candidate demand so you can constantly improve candidate engagement. This session will focus on the most important aspects of building automated talent pipelines with specific insights from Specsavers. Nick Eaton has 20 years experience working in International Retail, Pharmaceuticals and Contact Centre businesses supporting Resourcing, Business Change and Human Resources activities on a Global basis. 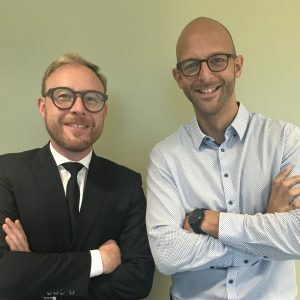 Nick takes responsibility for a team of 25 across 5 countries (Norway, Sweden, Finland, Denmark and The Netherlands) to deliver the overall recruitment and talent strategy of Specsavers in Northern Europe. This includes Partner (store owner) recruitment, Student and Graduate programmes, employed professional recruitment as well as internal talent development through our industry renowned 'Pathway' programme. In this session we’ll share the challenges our clients face when implementing a chatbot and also the learnings we had with them together. Of course, it’s fascinating to see what impact chatbots can have in recruitment, but it’s very important to understand where the technology is today, what’s possible and what to watch out for — that’s what we want everyone to take away from this session. 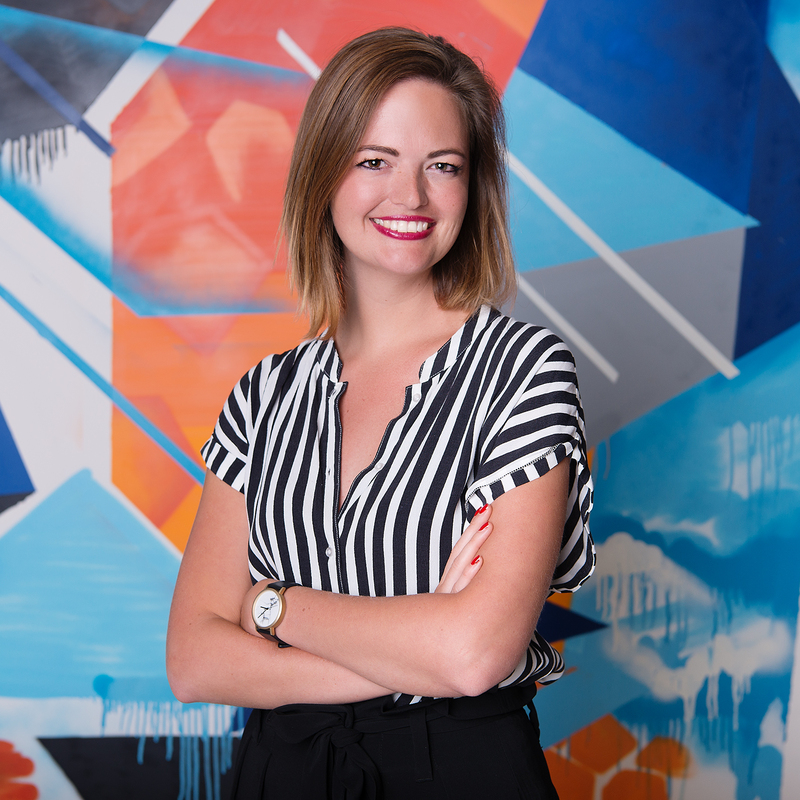 In this breakout Cognizants' Talent Acquisition Director Jolie den Boer shows us how they recruit for the new roles in making the internet a safer place for all of us. She shares, among other things, her experiences in the field of volume recruitment, referral hiring and how technology can improve your time to hire and candidate experience. Strategically minded Talent Acquisition Director in fast paced, technical and digital global environments. Strongly value collaboration, cultural diversity, and enjoy being hands on wherever needed. Build strong and lasting relationships and engaging and positive leader with high work capacity. 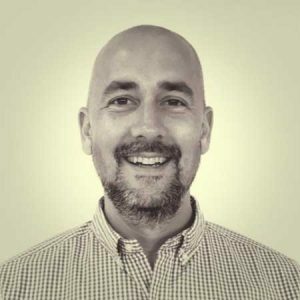 In this session Bas van de Haterd will share his insights on the most commonly made mistakes and quick wins you can use to seriously improve the conversion of your corporate careers website. Bas van de Haterd is a Dutch independent recruitment consultant, international speaker and author. He has has been researching Dutch corporate careers websites for over a decade and helps companies improve their corporate career website. 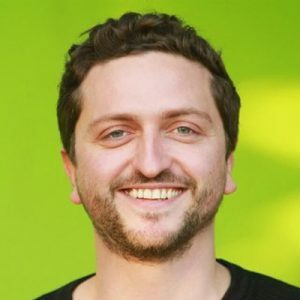 In this breakout Kevin Sebel will share how they build a successful video and recruitment marketing strategy and campaign for T-Mobile Netherlands. After graduating for his Master in Business Administration, Kevin started working in the recruitment industry directly. During the first 2 years of his career, he focused on campus recruitment within a division of Young Capital. Afterwards, he stepped into a more commercial recruitment role as a recruitment consultant at Robert Walters. Kevin recruited finance interim professionals, but was asked to join EN HR solutions to develop the potential of this company. Currently working there for 5 years, he feels that the request for RPO (Recruitment Process Outsourcing) is continually increasing. Kevin believes that companies should use their own employer brand in order to find the right talents. Every company has to innovate but especially startups are a great inspiration. That’s why Talent Acquisition Live organises the Talent Acquisition Live Startup Competition, which been won by WeAreKeen and ODYN. Gusta Timmermans is the client speaker of WeAreKeen. Gusta will zoom in on the 'recruitment building blocks' developed by her, and then on the impact that 'learning' can have on the development of recruitment teams. Gusta also applies this in her role as trainer / industry expert at WeAreKeen. Gusta Timmermans has more than twenty years of experience in the recruitment profession. 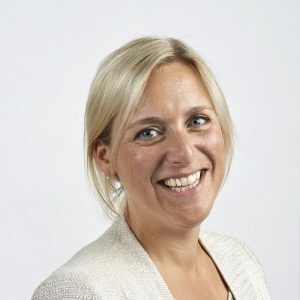 Through her years of experience in the temporary employment sector, as co-owner of a recruitment and selection agency and her experience as head of recruitment at ING Netherlands and ING worldwide, she has become an expert in her field. Gusta is chairman of Recruiters United, the independent network for recruitment and labor market professionals in the Netherlands. Meanwhile, Gusta started her own company with the main goal of making the recruitment profession in the Netherlands and internationally mature. This is done by giving companies strategic advice and providing innovative recruitment solutions together with a number of professionals. Are you ready to rumble? Most companies will agree that their employees are their most valuable and important assets. Surprisingly enough, Talent Acquisition often isn't embedded into an organization as a strategic function but approached rather reactively. Without a clear vision and strategy behind TA, it is hard, if not impossible to ask the right questions and match the right technology for your specific hiring needs. Recruitment marketing is a key step in building a holistic TA strategy where you have the tools to target not any talent, but the right talent out there. - How to define objectives? - How to get internal commitment & budget? - How to measure success? - How to keep it smart & simple? Modiara is global manager employer branding and internal communications at BrandLoyalty and Icemobile. She is a young professional with a broad understanding of business strategy, processes and leadership. She has an optimistic and creative approach to people, challenges and life in general. Working in the recruitment industry from the start of her career she follows recruitment trends and developments to actively implement these into businesses. These days she is responsible for the employer brand for one of the biggest loyalty players in the world of food retail. She also runs her own consultancy and writes about the future of HR. TalentSwot's computational linguist will be discussing how our subconscious choice of words can tell us a great deal about a person's underlying personality types. Without realising it, the words that often go unnoticed in our every day conversations can tell us whether a person is cautious or risk-taking, whether they prefer rules or ignoring them, how well they work in a team, and even whether someone is at risk of depression. Skyler will take you through how these studies are shaping the way artificial intelligence is analysing human metrics and their future in recruitment. Skyler Ilenstine has a BA in English Literature from the University of California, Berkeley. He currently part of the Linguistics MA program at San Francisco State University (SFSU). Skyler is TalentSwot's computational linguist, and is working with Dr. Anastasia Smirnova, investigating the linguistic nature of search queries. 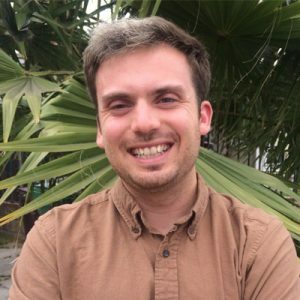 Skyler is a member of the Experimental and Computational Linguistics Lab at SFSU, which won the top prize at the university’s 2018 Undergraduate Research, Scholarship and Creative Activities Showcase. Every company has to innovate but especially startups are a great inspiration. That’s why Talent Acquisition Live organises the Talent Acquisition Live Startup Competition, which been won by WeAreKeen and ODYN. Jeroen Smeulders (Motmans & Partners) & Ben Croonenborghs are the speakers of ODYN. In this rapidly changing digital world, we will be putting talent more and more in the lead of their own career. A new set of fun and gamified tools (that can be used anywhere, anytime, anyplace) will help people seek their true potential and actively take on their personal journey. These tools give people better insight into their passions, talents, dreams and ambitions, and will match people accordingly with opportunities that fit using smart matching software, big data and artificial intelligence. In this session we will discuss how this vision and approach will be taking the recruitment industry to the next level. Recruiters are encouraged to look for talent outside-the-box beyond classic resumes, education and work experience, immediately taking the talent’s full career, skills and ambitions into account. ODYN is a start-up that is developing an online platform combining talent development and talent matching. ODYN is putting talent in charge of their own career by offering gamified tools that wil help them gain insight into their talent, competencies and ambitions and will match talent accordingly with specific opportunities for work and/or learning. As such, ODYN will become an integrated online career guide, offering an extensive digital talent pool with rich and valid data of potential talent. These are very interesting times where on one hand sourcers /recruiters still write manual boolean strings and on the other, use AI based sourcing and opt for fully automated sourcing/recruiting process. 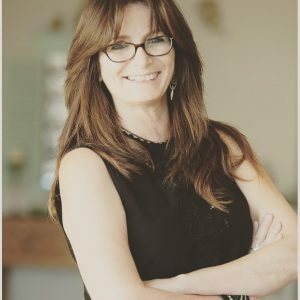 Karen's keynote presentation will expose you to the myriad of advanced options of how to stay relevant in these changing times - Becoming an Augmented Sourcer. 4B. What information is critical/useful to recruit international? What do you want to know, to recruit effectively? This broad question will be answered in detail, by talking about how to identify recruitment sweetspots, to decide on the sourcingsmix and the reallocation message. 10 slides with great data and information insights. Even you can be surprised. In a tight labor market we quickly see the holy grail in referral recruitment. But what are the do's and don'ts in referral recruitment? After a brief introduction, Martijn Hemminga will interactively map out the do's and don'ts together with the audience on the basis of practical experiences. 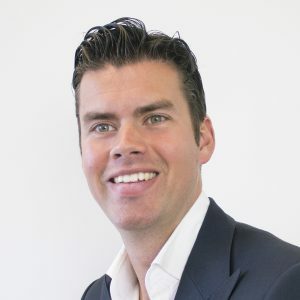 Martijn Hemminga is a serial entrepreneur in the areas of recruitment marketing, recruitment technology and employer branding. 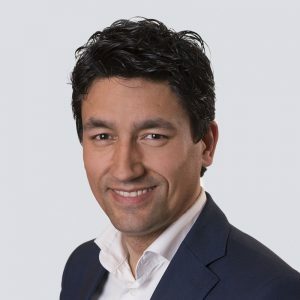 Besides co-founder of Talent Acquisition Live, he is founder of Recruitmenttech.com, Recruitmenttech.nl, Recruitment Tech Event, Recruitment Tech Awards and Recruitment & Talent Tech Demo_Day. 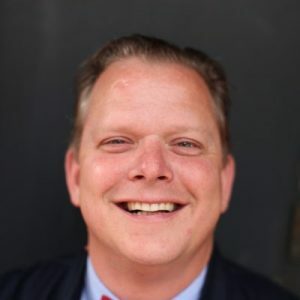 He is also co-founder of the largest trainer in the Netherlands in the area of ​​employer branding and recruitment: de Academie voor Arbeidsmarktcommunicatie. He also stood at the cradle of Werf-en.nl the number 1 website in the Netherlands on recruitment and employer branding. Finally, Martijn advises employers in the area of ​​employer branding and wrote a book about it. If you want highly motivated staff, that takes initiative and has an eye for detail, something very important to deliver the high value and time critical shipments like Interport does, you need to hire people with that attitude. It's attitude before skills and if you know the attitude you want, you need to test and select based on these characteristics. Hire for attitude, and if necessary, teach the skills. Eric is a very experienced c-level executive in the transportation industry. 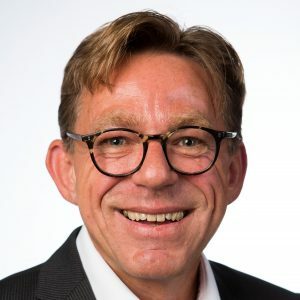 He is currently the Managing Director Interport B.V. and Board Member Van Duuren – Interport Holding B.V. Interport is a transport company specialised in high value & time critical shipments to Spain, Portugal Italy. As a managing director he believes that the people make the company. They need to be as motivated as their managing director, taking initiative and having an eye for detail as he has. With her well targeted e-mail campaigns, including great content and context, Sofia Broberger get's a 69% reply rate from the developers she is trying to recruit. E-mail isn't for the elderly, e-mail isn't dead, if it's used appropriately. How you use it well Sofia will share in her keynote at Talent Acquisition Live 2018. 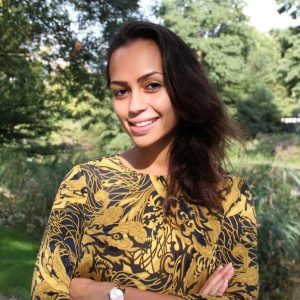 Sofia Broberger is a Tech recruiter at Bonnier Broadcasting, one of the Nordic region's biggest television companies. Booking.com hired over hundreds of techies in one year using a range of sourcing tools and strategies. This session is a real-life case study of volume sourcing beyond borders and how you can attract the best talent with the right mindset, creativity and scalable processes. It’s achieving sourcing growth using proven marketing and start-up tactics. Aurelien was born in France, Marseille and then raised around the world in the USA, Vietnam and Panama. Aurelien is a Global Sourcing Recruiter with over 5 years experience in both agency and in-house environments in both London and now in Amsterdam. He is currently responsible for scaling the Site Reliability Engineering department at Booking.com. 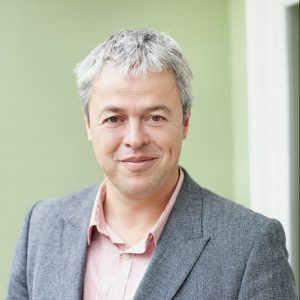 His main experience comes from hiring awesome tech people for fast-growth businesses and world renowned brands including Booking, VF corp, Just Eat, Unilever, Google UK and Deliveroo. 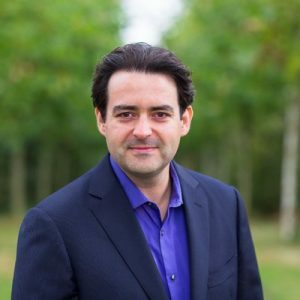 Aurelien has a proven track record in the whole hiring process from talent mapping, sourcing, tools, engagement, diversity, stakeholder management and improving business processes. Chairwoman Heleen Stoevelaar closes the first edition of talent Acquisition Live. In 2000 she started her career at a large national temporary employment agency where she introduced Tempo-Team @Office together with several colleagues at the end of 2002, a virtual temporary employment agency. 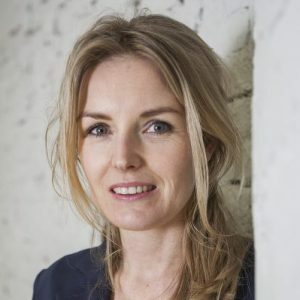 In 2004 she switched to an international recruitment and selection organization where she was responsible in her last function as Manager for recruitment exclusively for commercial personnel for the north, east and central Netherlands. From 2008 to 2015 she was the owner of Best Selector where she worked for various clients in her role as interim recruitment manager.